eCC Cloud (for QuickBooks Online edition). We recommend Webgility's QuickBooks integration solutions for X-Cart stores of all sizes. The page below provides information about the old QuickBooks integration module by X-Cart team. This module provides a very basic integration and has many drawbacks and limitations. The module QuickBooks enables you to export orders to IIF format (QuickBooks 2002, 2003). This module is available as a built-in module for all X-Cart editions. 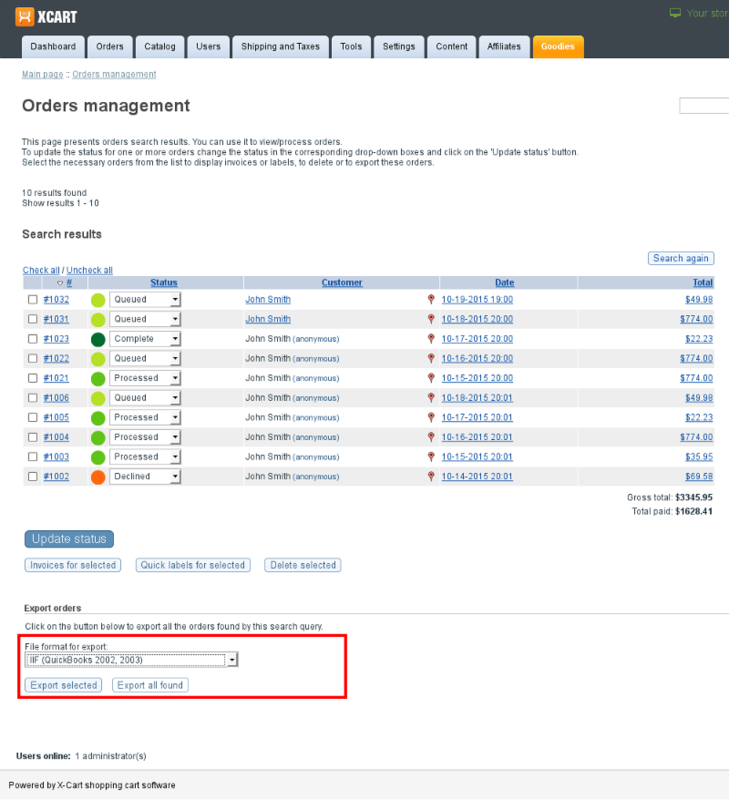 Id does not require installation and can be enabled in the Modules section of X-Cart Admin area. 1. Enable QuickBooks module (Administration menu->Modules). When the module is enabled, you can see QuickBooks options section in General settings/Modules options. 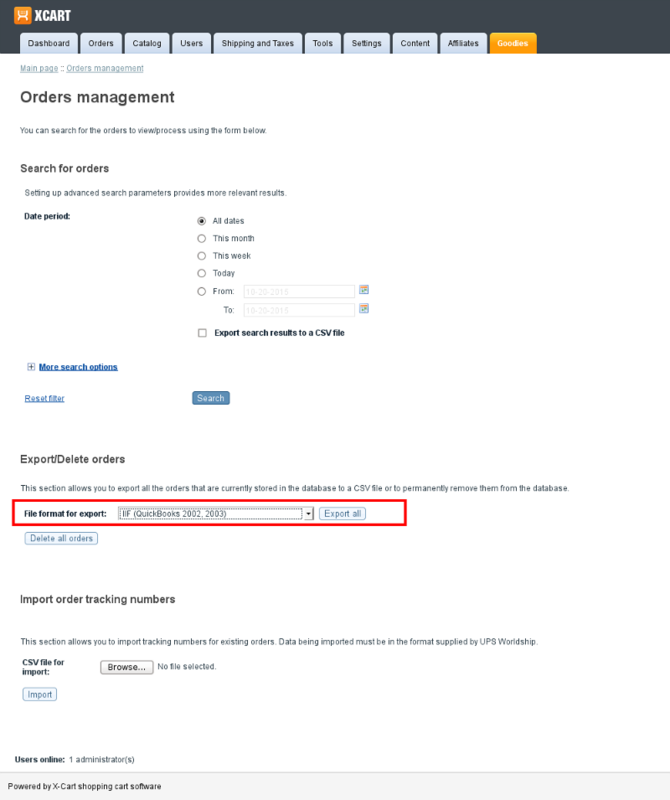 When importing the IIF file, which contains an order with several products partially paid with a gift certificate, into Quickbooks, we will get the 'payment mismatch' error. The solution in this case is applying File:Quickbooks payment mismatch fix.txt patch.